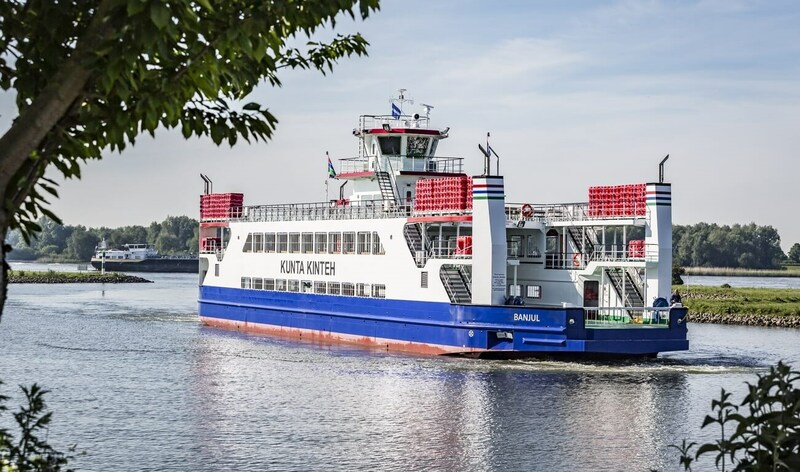 The Damen Road Ferry 5212 was built entirely in the Netherlands to a very tight deadline, with the hull constructed in just 70 days at Damen’s subsidiary Niron Staal in Amsterdam. Engineering, purchase, outfitting and project management was carried out by Damen Shipyards Hardinxveld. The road ferry was delivered to a client in the Gambia more than a month ahead of schedule.